July 1, 2018: "Raleigh's Design Charrette"
JUNE 03, 2018 : "In dreaming of ideas for 81 acres near Dix Park, challenges and solutions emerge"
MAY 04, 2018 : "These 81 acres may be developed in Raleigh's future. What are your dreams for the site?" Eliza Montgomery grew up in Raleigh. She holds a Master of Architecture from Columbia University and a Bachelor of Arts in Environmental Studies from Bard College. 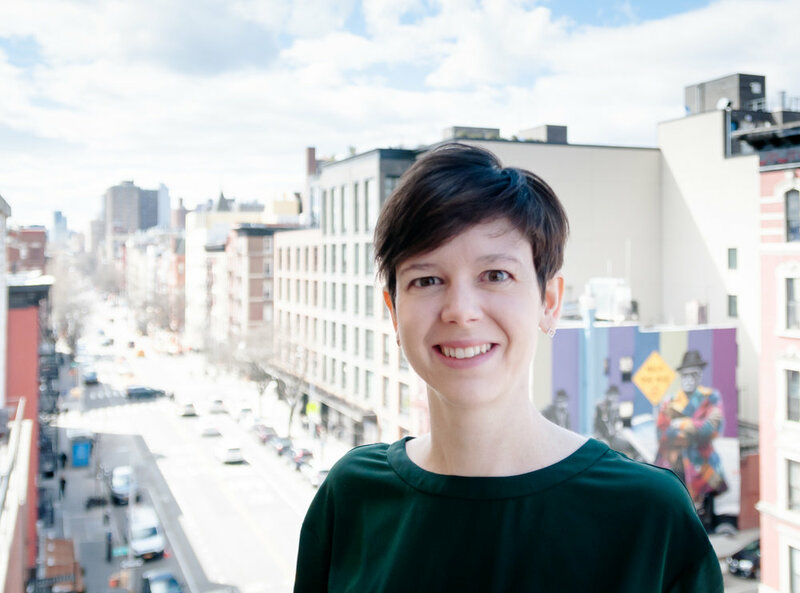 For the past 7 years Eliza has worked at Ennead Architects in New York City on projects such as the Peabody Essex Museum Expansion in Salem, MA and the Arizona Center for Law and Society in Phoenix, AZ. She also co-leads Ennead Lab’s Rethinking Refugee Communities project. In collaboration with the United Nations High Commissioner for Refugees, this award winning project is an initiative to design more cohesive, dignified and sustainable planning solutions for refugees and internally displaced people around the world. She has lectured on the project at a number of events including the 2014 Humanitarian Innovation Conference at Oxford and the UN Habitat 2016 Conference at the UN Headquarters. She also teaches on the subject jointly with Don Weinreich at Pratt Institute. Soon Eliza will be moving back to Raleigh and is excited to rejoin the vibrant design community around the Triangle. What drew you to participate in the CONNECTIONS 81.2 discussion? I grew up in Boylan Heights, walking my dog next to the prison, I've been watching downtown Raleigh transform ever since. The future of this site is vital in interconnecting the neighborhoods of Raleigh. I was eager to partake the discussion. I think architects and designers have a unique perspective to fill in rethinking conventions and manipulating space to work with the changing social and urban futures. In your view, what is the most exciting thing happening in Raleigh and its growth? Raleigh is a uniquely balanced city, with quality public education, intimate neighborhood communities, and a diverse downtown business core - all qualities not found together in many cities. As the downtown grows above this strong foundation, it has an opportunity to become a one of a kind place. In one word, how would you describe the site's potential? Over five years ago, the public sector provided a new opportunity for me in my career. This is not a typical path for an architect but it has allowed me to balance life and to humbly find purpose to serve the “community.” Best of all, my employer encourages and supports any community participation which allows me to contribute, with my peers, to a more sustainably built environment. Curiosity to how a city can positively re-purpose such a huge tract of land. I also completed a project on the Governor Morehead School campus years ago and I hope that the 81.2 effort will improve the facilities they occupy. Kenneth Luker is a Design Principal for the North Carolina Practice of global architecture and design firm Perkins+Will. He is an award-winning designer, mentor, and thought leader in applying cultural awareness to the planning and design of many project types. Kenneth leads the studio’s design process on project types including museums, libraries, higher education, corporate office, healthcare, and science + technology. His work has garnered numerous design awards and featured in publications for its thoughtful compositions that elevate the human experience by connecting architecture with its cultural context. Kenneth’s recently completed projects include the National Center for Civil and Human Rights in Atlanta, Emancipation Park in Houston, and the Gregg Museum of Art and Design at NC State University in Raleigh. His current work includes the City of Vancouver Hogan’s Alley development, the Destination Crenshaw outdoor museum in Los Angeles, and the new Research Triangle Park Campus for Wake Technical Community College. Kenneth is active at the NC State College of Design where he serves on the Design Leadership Council and is an adjunct professor in architecture. Kenneth lectures frequently on design, participates in design award juries and supports his local chapter of the American Institute of Architects. Kenneth earned his Bachelor of Environmental Design degree from Texas A&M University’s College of Architecture. He studied design at the University of Cambridge in England and earned his Master of Architecture degree from Harvard University’s Graduate School of Design. CONNECTIONS 81.2 is a fantastic way to engage my fellow designers in a spirited consideration of the future of Raleigh. We are all passionate about creating a better, more inclusive and sustainable tomorrow through great design. Matthew Henning Griffith earned a BS in Mathematics from Davidson College and an MArch from the NCSU College of Design, where he concentrated in Urban Design and received numerous awards, including the Kamphoefner Fellowship and the AIA School Medal. His thesis project - a community center for Camden, New Jersey - received a 2004 Boston Society of Architects Unbuilt Architecture Award. Before founding in situ studio in 2010, Matt served as a Visiting Assistant Professor of Architecture at the University of Arkansas and worked in the offices of Marlon Blackwell Architect and Frank Harmon Architect. He currently serves as Associate Professor in Practice at the NCSU School of Architecture. Since 2010, Matt and his colleagues at in situ studio have received twenty-four local and state AIA design awards. In 2012, the studio was recognized by Residential Architect magazine as one of 15 Young Firms to Watch, and their work is now widely published on line and in print. Matt regularly serves on professional awards juries, lectures throughout the southeast, and is a frequent visiting critic at schools of architecture. He was recently invited to the 2019 AIA National Small Projects Awards Jury. Matt lives with his wife, Ashley, and their three children just east of downtown Raleigh. I was drawn to the CONNECTIONS 81.2 discussion because of my belief that designers are uniquely equipped to objectively lead discussions about urban development and policy and that doing so is our professional obligation. 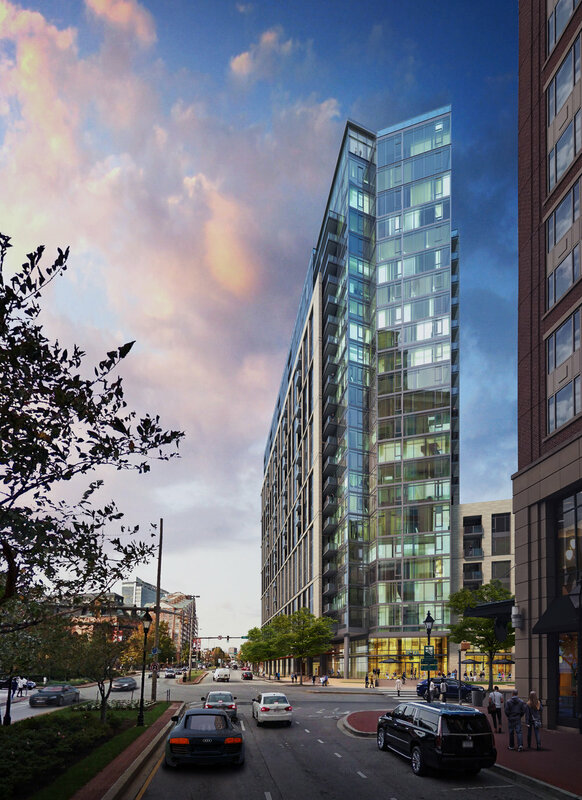 I am very happy to see downtown Raleigh increase in density and to see the diversity of activity downtown continue to expand. Developing meaningful transit options is the next step! How long have you been in Raleigh: Since starting at NC State College of Design in 2000. Megan is an Associate Principal in LS3P, a firm focused on design, community, and innovation. With 14 years of experience, she has designed corporate commercial, education, and faith-based projects throughout the Triangle. Upon graduation from NC State College of design in 2005, Megan began her career at LS3P, before joining an Asian non-profit to work as an architect on appropriate technology projects and a regional housing reconstruction effort. In 2011, Megan returned to LS3P for part two of her career with the firm as the corporate commercial leader in the Raleigh office. Committed to the Raleigh community, Megan serves as an ACE mentor, College of Design reviewer, and AIANC board director with a focus on leadership and community engagement. I believe citizens are responsible to strive for the betterment of society and architects are specifically equipped to respond with physical proposals to address issues of social, economic, and environmental wellbeing. As leaders, we are responsible to listen to members of the community and facilitate discussions that stimulate collaboration, collective thinking, and innovative solutions. Connections 81.2 is a conversation that brings people together from various parts of the community to explore the opportunities and challenges found in our city today and in the future. As a collective, participants work together to envision how the activation of 81 acres in downtown Raleigh might transform the experience of people within Raleigh and across the state. I am excited about the potential of the people who have converged in the geographic area of Raleigh. Talent and expertise continue to grow in education, creative arts, technology, craft, and entrepreneurship. Maintaining pride in their heritage, people look to the future with open arms, welcoming new people and ideas to the area each day. As the city continues to grow in number and diversity, Raleigh is positioned to excel as a leader of innovation, development, and community wellbeing. How long have you been in Raleigh: I have been part of the Raleigh Design Community since 2010 when I moved to Raleigh to do my masters in architecture at NC State. I have been in Raleigh ever since. I now call this cool town home. I was born in Dubai, grew up in Jordan, but I am from Syria. As a Syrian-American, I moved to Chicago in 2001 to continue my education in the United States. To be closer to family, I moved to North Carolina to complete my undergraduate degree in Interior Architecture from the University of North Carolina in Greensboro. I pursued my masters in architecture at NC State after realizing my passion for design goes beyond the shell of a building. I joined LS3P Associates immediately after graduating from NC State in December 2013. Today I am a licensed architect and an Associate with LS3P working alongside talented designers and architects on civic and community type projects. Two projects I helped co-lead the design are currently under construction and scheduled to be completed this year include the new Fuquay-Varina Public Library and the Oak City Multiservice Center, a renovated abandoned warehouse transformed to serve the underserved community in the City of Raleigh. During my third year at State, I had the amazing opportunity to lead a team and participate in the ULI competition. It was an intensive two week design charrette to transform an urban site, similar to Connectins 81.2. My team’s design proposal got honorable mention and I was hooked on the collaboration, the design process and the diverse engagement from team members from different disciplines and backgrounds. Diversity in knowledge, expertise and experience is the main ingredient to a successful, provocative design. This is the essence of CONNECTIONS 81.2. I think right now the development of Dorothea Dix Park is an exciting moment in Raleigh’s story. There is a sense among the leaders and key players in the city that are recognizing the importance and magnitude an urban park could have to the continual success and development of Raleigh. This is a once in a lifetime opportunity and as a citizen in our community, it’s encouraging to see a city taking positive steps in not only preserving, but also creating a destination public green space. .
How long have you been in Raleigh: While I’m an “out-of-towner,” I’ve been active in the Triangle area since 2005 thanks to my colleague Michael Stevenson. Adam specializes in design and placemaking for innovators, entrepreneurs and university-corporate partnerships. As Planning + Strategies Leader at Perkins+Will, he advances ideas and designs focused on the convergence of higher education, emerging workplaces and community-building. 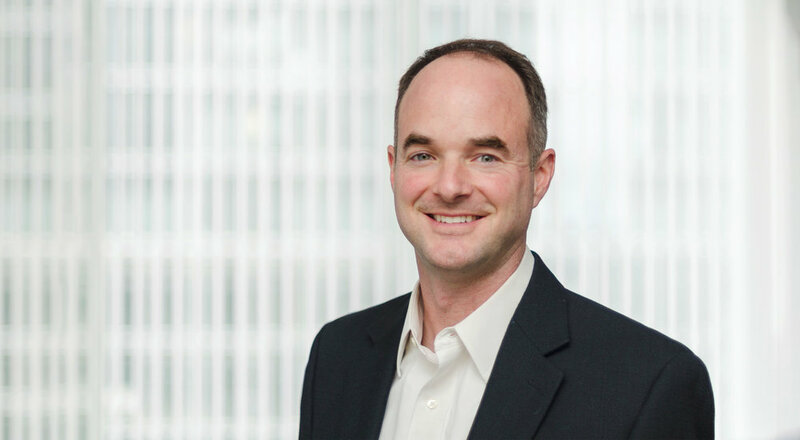 Adam has led significant projects for the UC Berkeley/LBNL, Pennsylvania State University, Wake Forest University, The University City Science Center – which includes the University of Pennsylvania, Drexel University and Children’s Hospital of Philadelphia – along with over $1 billion of new construction for life-science enterprises including Amgen and Wyeth. Between 2015 and 2017, Adam also served as Chief Design Officer for Benjamin’s Desk/1776, a startup CoWorking incubator that grew from 3,000gsf to over 200,000gsf during his tenure, to include key innovation hubs at Pennovation Works and 1776 Crystal City. 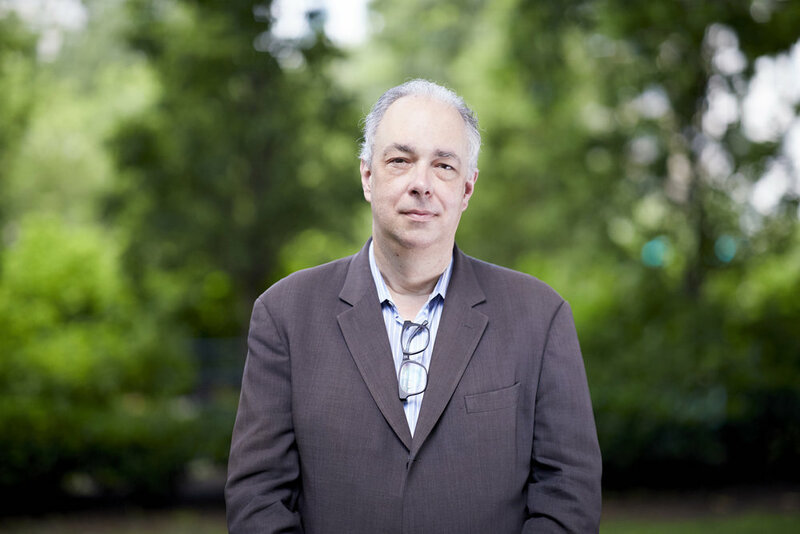 Adam was the founding co-chair of the ULI University Development and Innovation Council (UDIC) focused on academic innovation and placemaking and a founding member of the Urban Innovation Network, a London-based group that focuses on advancing university-corporate development models. Deeply committed to urban design, Adam has also served as a resource person for the Mayor’s Institute on City Design–Midwest and served on two Philadelphia Redevelopment Authority Advisory Boards focused on building design excellence and the 1% for Art program - the first such panel in the United States. I love opportunities to help cities like Raleigh leverage the extraordinary talent, ideas and architecture they’ve grown over the years. Raleigh has an amazing – often gorgeous – downtown and it aligns with many trends we see today that I call Campus 2.0. This is a new urban design paradigm where cities, universities and innovators collaborate to create a dynamic, vibrant community that centers on the economic and social energy of the City’s educational assets. As in cities like Austin, TX or Madison, WI, Raleigh has a combination of social and physical assets that are global in scope, and the CONNECTIONS 81.2 discussion allows us to imagine what the City can become in 10 or 20 years. Your opportunities for future growth. Recent developments in downtown Raleigh and the areas around NCSU are very compelling – that’s great – but redeveloping the study area will offer historic opportunities to transform Raleigh into a 21st-Century City. How? Today’s most successful communities integrate work, learning and living in unique ways that add up to significantly more than the sum of their parts. Currently, the Raleigh study site presents a physical barrier to this process. It’s exciting to see you all recognize this and actively explore urban design strategies to weave Downtown, the NCSU core campus and the Centennial Campus together. This opportunity would be completely transformational for Raleigh and create all sorts of adjacencies and synergies that can be hard to imagine today. It’s sort of the last “puzzle piece” that completes the picture – but it’s a very big and critical piece of an exciting picture. Ellen moved to the Triangle from Paris in 1993 after working for four years with Christian DePortzamparc. Upon her arrival she was fortunate to work with Frank Harmon for almost five years prior to starting her own design studio in Durham. During that time she came to appreciate the wonderful strengths and idiosyncrasies of both Raleigh and Durham. Ellen leads Ellen Cassilly Architect an award winning design studio located in a fabulous mid-century modern bank in downtown Durham. Over the last 20 years the studio has created well-loved projects such as the Durham Framers Market, Parker and Otis, Fullsteam, Grub and five projects at Duke Gardens - all of which add to the livability of Durham. One of Ellen's favorite aspects of architecture is mentoring future architects through the NCSU Summer Design/Build Studio. This year they created an outdoor environmental education classroom at West Point on the Eno. This was the ninth year of designing and building projects for wonderful non-profit groups across the Triangle. It's wonderful to get out of one's typical routine, change scale, get some good design cross-pollination going on. 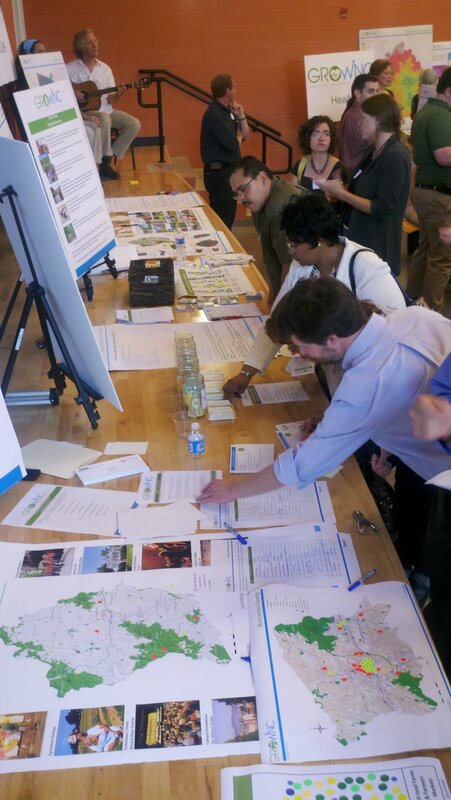 It was great to think about how Raleigh could take the next leap in its urban growth. As architects we have the ability to ask good questions and 'test drive' various options with the community so that we can assess what will work best for all creating lively public spaces. The community is realizing the scarcity of their green spaces and putting pressure on city leaders to protect them while densifying the areas surrounding. Albert McDonald, AIA is a Senior Architect and Associate Principal with Clark Nexsen in Raleigh, NC. He is an emerging design leader driven by his passion for the profession of architecture, his personal exploration as a designer and thinker, and the continual pursuit of design excellence. A North Carolina native, Albert graduated from the University of North Carolina at Charlotte with a Bachelor of Arts in Architecture in 1997 and received his Bachelor of Architecture from NC State University in 2008. 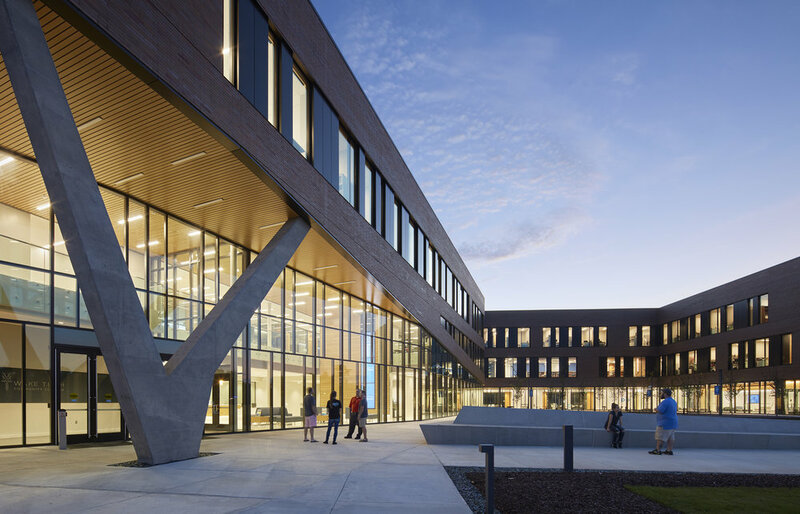 Albert has made valuable contributions on a range of project types for public and private clients including North Carolina State University, the University of North Carolina - School of the Arts, Wake Technical Community College, and Under Armour. His vision has supported multiple award-winning efforts. Recognizing opportunities to provide mentorship and design opportunities, he has since formed an initiative within Clark Nexsen called Combustion Chamber, which endeavors to provide an experimental realm of design discovery through design competitions. Through this initiative, Clark Nexsen team members are afforded opportunities to exercise and build confidence in their design skills, test new software, experiment with project typologies, create relationships within the firm across office locations and disciplines, and engage the community in meaningful discourse about design. Combustion Chamber efforts to date have resulted in recognition in three AIA-NC Sponsored Design Competitions, including two first place awards, a most recent of which is the winning entry for the Bus Shelter Prototype Competition for Go Raleigh Transit which will be incorporated in the local transit system beginning in January or 2019. I believe designers and architects, in order to make meaningful, lasting and sustainable work should actively engage in the community that their buildings will reside. I search out opportunities when possible to engage in a broader dialog to influence my perspective of the world. The mix of local design talent, paired with experts from other markets along with the inclusion of Raleigh’s decisions makers made participating in C81.2 an obvious and easy choice for me. For me witnessing the continued and growing civic pride that the design community and citizens of Raleigh have has been most invigorating. I grew up in a town where most of my peers couldn’t wait to leave. Raleigh is much different in that people can’t get here fast enough. Good things happen when people love their city. How long have you been in Raleigh: I’ve lived in Raleigh for 3 years. An Associate and senior designer at Gensler’s Raleigh office, Brad is interested in how architecture can improve our cities and how the profession can engage communities in meaningful ways. In 16 years of practice, Brad has provided leadership for academic, cultural, government, commercial and residential clients, with a focus on design excellence and technical rigor. His work has been featured in publications including Architect and Details, Technology, and Form (AsBuilt Series), and has won multiple awards including an AIA New York Chapter Award of Merit. His responsibilities include office-level design leadership, project design direction, client relationships, coordination and integration of prime consultants, marketing and business development. Prior to joining Gensler Raleigh, Brad worked in New York City for ten years where he gained a breadth of experience in design, management and technical responsibility for projects ranging in use, complexity and scale while always maintaining a high standard of design. 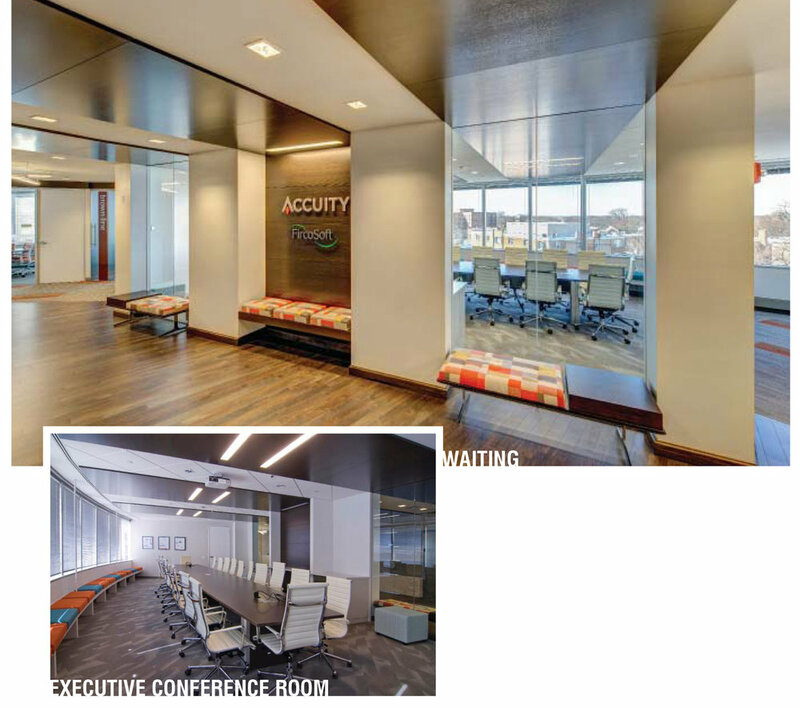 At Ennead Architects, he led multiple renovation projects focused on public space at NYU Langone Medical Center. As an Associate at Robert Siegel Architects, he led multiple projects for the General Services Administration and for university and residential clients. Brad is a frequent guest critic at NC State’s School of Architecture and was a selected juror for NC State’s Shawcroft Drawing Prize in 2017. Brad has served on the AIA Triangle Design Awards Committee since 2016. I was initially drawn to the Connections 81.2 event based on my previous involvement with a similar charrette for Downtown Wake Forest. As with the previous charrette, I was motivated by the opportunity to collaborate with other local architects for the purpose of having meaningful dialogue about the future of our community. With the intense growth Raleigh is experiencing, these conversations are increasingly important. The most exciting thing happening in Raleigh is the design, community engagement and development of Dix Park. How long have you been in Raleigh: After working two years as a structural engineer, I arrived in Raleigh in 1983 to start my graduate degree in Transportation Engineering at NC State. Except for a 2-year hiatus in Greensboro, I’ve been working in Raleigh ever since. Don is a Principal with VHB, a multidisciplinary firm of dedicated, creative professionals working to improve mobility, enhance communities, and promote economic vitality, while balancing development and infrastructure needs with environmental stewardship. 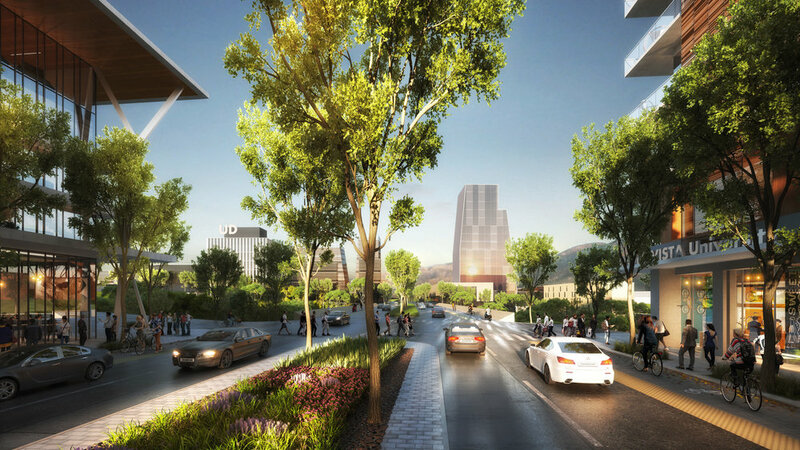 Don specializes in collaborative, multi-modal planning projects that strive to address both immediate needs and long-term aspirations for downtowns, corridors, university campuses, and entire regions. Safe, healthy, pedestrian-friendly communities are a major emphasis in Don’s work. Having spent several years on Duke University’s Civil Engineering faculty, Don remains maintains his passion for teaching via professional seminars and the occasional guest lecture. For most of my career, I’ve actually done very little work in the City of Raleigh. Recently, however, I’ve been fortunate to work on the Southern Gateway Corridor Plan, bus rapid transit planning, the Dorothea Dix Master Plan, and several other projects near our Centennial Campus office. The Connections 81.2 site has been discussed repeatedly in relation to those projects, so the opportunity to learn about—and possibly influence—the future of this effort seemed an invaluable opportunity. The energy focusing around Dorothea Dix Park (and encompassing Centennial Campus/Spring Hill, the Southern Gateway area, the CONNECTIONS 81.2 site, and beyond) presents a transformative opportunity close to a dynamic downtown. An essential aspect of this transformation is enhanced accessibility for all citizens to economic and educational options, healthy activities, cultural/heritage experiences, and interactions with nature. Combined with dramatic—and accelerating—advances in smarter transportation technologies, this confluence feels like the very definition of excitement. Jenn is an apprentice architect with a passion for telling stories. As a designer of experiences and spaces, she's been practicing architecture for three years. She approaches architecture from a programmatic perspective, often starts thinking and drawing in diagram first, asks too many questions about how people will live, work and use the spaces they inhabit, and finally creates space via architecture to shape new intersections and experiences. After receiving her M.Arch. from NC State, she started work with Matthew Konar Architect. Designing food stories for restaurants, bars, agricultural hubs and other food concepts, their work reflects the edible greatness of the South into brick and mortar. By meshing the qualities of southern vernacular buildings with the colorful personalities of small business owners, we design spaces that are equally full of life and character. Jenn stays busy in the local food system on the weekends too, running Raleigh's local food event series Second Saturday, which has been celebrating local food, urban agriculture and community each month in the summer for the last five years. I'm passionate about the role of designers and well-designed space in creating community. The Raleigh community needs places that bring them together, places where things are made, where people can gather, and where the productivity of our city becomes visible. As a citizen and a designer, I engage in conversations about designing spaces whenever they come up. The conversation about Connections spurred me and our design team to think critically about what a city that didn't need a prison would truly be like. This line of thought stayed with us throughout the weekend. In Raleigh, there is a particularly exciting synergy around local food that continues to grow each season. From urban agriculture to traditional family farms, mom and pop barbeque to James Beard award-winning chefs, a brand new pay what you can restaurant to a decades old food-waste diversion hunger relief non-profit, Raleigh is at the heart of the movement to bring all people closer to healthy, nutritious, community grown food. Our cultural heritage of agriculture as a Southern city is meeting up with 21st century urban planning and technology in our startup city and making beautiful and exciting projects happen. How long have you been in Raleigh: For 13 years! Jessica Cochran is a Raleigh-based architect. Her design experience spans a wide range of typologies, including single-family homes, historic buildings, universities, civic, laboratories, and pharmaceutical manufacturing, as well as the occasional design competition. She is passionate about travel, particularly to large international cities and remote country sides. When she is not designing buildings, you can find her in her painting studio, working in abstract mixed media. Jessica has BA in Fine Art from the University of South Carolina, and received her Master’s in Architecture from North Carolina State University. I am fascinated by urbanity and am very excited about the current growth and development in Raleigh. More than anything, I hope that as we grow the livability is maintained and that opportunities, health and happiness for everyone living here increases. As an architect, artist and downtown resident, I want to contribute to a shared vision and help guide to our direction. Seeing so many of my colleagues express a similar concern and enthusiasm is thrilling and it was a great experience to hear their ideas and design with them. The development of Dix Park as well as the new Union Station and Weaver Street Market in the Warehouse District is very exciting. I live on the east side of downtown and you can almost track the changes there daily. It’s an incredible time to be living and working in downtown Raleigh. 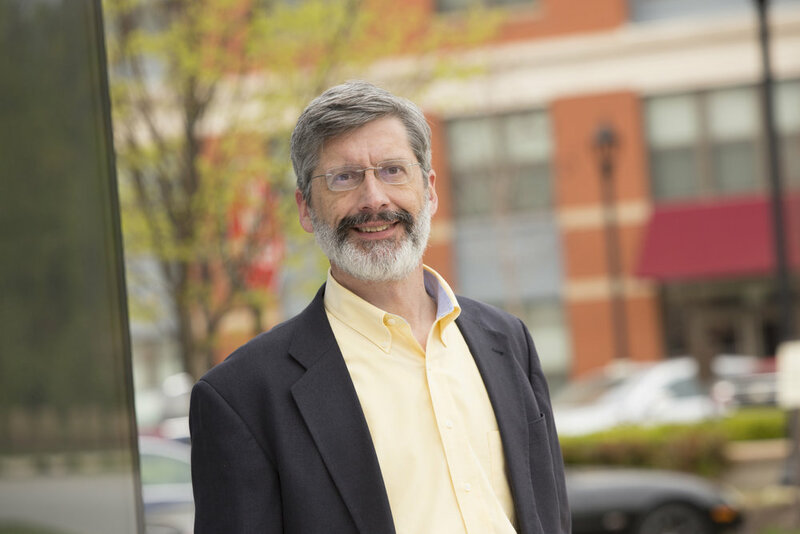 Don is a Principal with Clark Nexsen and an award-winning architect focusing on the design of academic, science and technology, and civic project types. Don is passionate about the relationship between architecture and its site and creating design solutions that respond to the climate, natural and built context, and public realm. Since 2007, Don has served as a Professor of Practice at the NCSU College of Design teaching architecture studios which focus on the relationship of the environment and site to building form and tectonics. Don is a graduate of Duke University and received a Masters in Architecture and Masters in Structural Engineering from Virginia Tech. I was excited to be a part of a design discussion about how to continue to make Raleigh’s downtown a vibrant, healthy, and exciting destination for the community. It is a chance to think about this critical site and how it could help shape the future of Raleigh connecting Dix Park with NC State, the surrounding neighborhoods, and downtown. As architects, we love to imagine the possibilities – and this is a perfect platform to discuss what is needed in Raleigh’s downtown regarding affordable housing, public transportation, access to health, and access to invigorating public spaces. I think the attention and efforts to improve our downtown streets, public spaces and public buildings is both exciting and key to the vitality of the city. This is evident in many of the past and current projects such as Dix Park, Moore Square, the new Union Station and the transformation of Fayetteville street. How long have you been in Raleigh: I’ve been living in Raleigh for 37 years and have been part of the design community for 30 of those years. Professor Sherk earned her MLA from North Carolina State University. She is a professional landscape architect and an associate professor teaching a wide range of classes at the NCSU departments of Horticultural Science and Landscape Architecture. 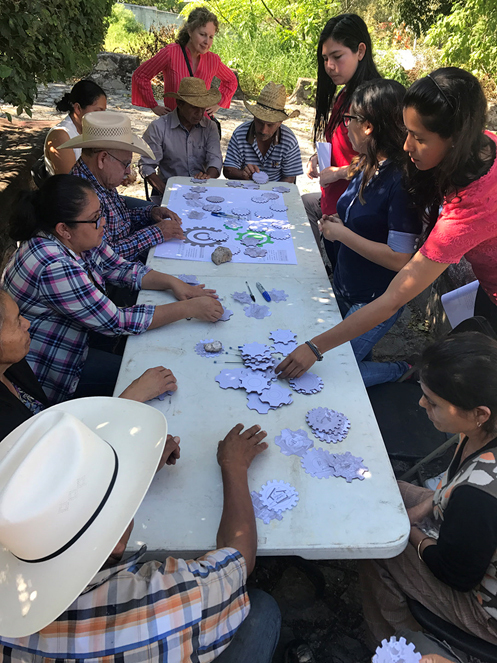 Julieta works with her graduate students on variety of landscape design research with local and global impacts, and peer-refereed journals publish the articles about this work. She coordinates participatory design, service-learning projects with her students locally and internationally. Julieta served on the City of Raleigh Appearance Commission, where she helped to promote community dialogue and foster design excellence that improves public realm. In 2017, she received a Fulbright Global Scholarship to Mexico to use participatory design methods to promote sustainable positive community development. She works with her students to assist underserved communities in discovering their voice. She strives to work with people to improve natural/cultural resources while incorporating artful, accessible living infrastructure that provides co-benefits for the environment and people’s quality of life. My friend and colleague, Frank Harmon, who knows I am passionate about what happens in Raleigh and my commitment to high quality urban spaces, brought connections 81.2 to my attention. The management, preservation and creation of green open spaces, large and small is the most critical and exciting development in Raleigh. This includes scales from streetscapes to pocket parks to the large parks like the Dix park. How long have you been in Raleigh:I’m new! My family + I moved to Raleigh from Baltimore in April 2018! Beret is Director of Design at JDavis, a multi-disciplinary design firm specializing in architecture, interior design, landscape architecture, planning and procurement. An award-winning architect with experience in commercial, residential, mixed-use, planning and education projects, Beret believes in the power of design to shape culture through inspiring + timeless spaces achieved through an integrated process of research, analysis, collaboration and experimentation. Beret received a Bachelors of Arts in Modern American History from Brown University and a Masters of Architecture from the University of Maryland, where he was awarded the Henry Adams AIA Gold Medal, the Faculty Award for Excellence in Design and the Thesis Prize. Dix Park . . . which underscores the importance of the Connections 81.2 site and the need to be forward-thinking and ambitious as we invent the city’s future. Charles is a Raleigh-based urban designer, planner, and cartographer. A Winston-Salem native, he is the lead Urban Planner and Designer in RATIO’s Raleigh office, where he manages planning and urban design projects throughout the Southeast, focusing on area, corridor and downtown projects for municipalities in addition to urban design work for private clients. Prior to joining RATIO, Charles spent six years in the public sector for the City of Raleigh Urban Design Center and the NYC Department of City Planning. Charles received his Masters in City and Regional Planning from UNC-Chapel Hill and a Masters in Landscape Architecture from the University of Toronto. On a personal level, CONNECTIONS 81.2 was an opportunity to engage in cathartic collaboration with friends and colleagues, all who care deeply about our community, and without the competitive reality of professional life. Politically, CONNECTIONS 81.2 offered the kind of boundless interrogation that will help Raleigh as it searches for a vision of what kind of city it wants to be. Finally, the workshop’s honest confrontation with the legacy of the Prison and Morehead School gave it a gravity that many similar events lack, and that was refreshing. Kudos to the organizers. Raleigh’s boom is occurring after that of many cities in the United States. We have an opportunity to learn from those cities’ successes and failures and develop in a way that inspires true community-based planning and design. The most exciting element of this educational moment is finding design solutions that engender a public realm where building community and healing divides are the fundamental concepts. We are seeing that kind of effort in the Dix Park Master Plan process and smaller tactical interventions throughout Downtown. Also, the Greenway system is one of the most exciting things happening in Raleigh, and always will be. How long have you been in Raleigh:Starting as an eager young design student – I joined the Raleigh Design Community in 2012. However, as a professional I have been a part of the community for about a year and a half. When I was younger I had the incredible privilege of growing up in the heart of Asheville, NC. As a result, I gradually began curating a love for the outdoors and a strong appreciation for creative thinking. Now as a professional in the built environment – ironically, I find most of my inspiration outside of a city. I love having the opportunity to travel and explore and now as a design professional I get the chance to look at things in a different light and can help protect those seemingly “untouched” places. I received my Bachelor in Architecture at NC State University and immediately began working at Perkins+Will. Now, my main focus has been on urban development projects within the company’s Cities & Sites team. While I don’t have an educational background in urban design, I have grown to love the implication of designing the spaces within the architecture and how the public realm positively contributes to not only the surrounding buildings but the city as a whole. I was drawn to Connections 81.2 through my work in Perkins+Will’s Cities and Sites team. The discussion aligned so much with issues and opportunities we discuss in office on a daily basis and being a Raleigh local and practically living next door to the site – this discussion was very close to home. When I moved here 6 years ago from Asheville I remember having a very negative outlook on the city of Raleigh due to lack in city life. However, within the past 5 years or so the city has come alive. From my apartment I can walk almost anywhere and that kind of accessibility has always been important for me. The most exciting aspect of that is how much were still moving forward as a city and how much our local design community is involved with that growth. Originally from Asheville, Crystal Vaughn is an interior designer, who has returned to North Carolina after working in the Chicago A&D industry for the past 10 years. As an alumni of UNCC and The Illinois Institute of Art Chicago, she has had the opportunity to work on design in a vast range of projects, including healthcare, corporate, industrial, restaurant, property management and retail design. A passionate and active member of the A&D community, she's volunteered and been on planning committees for organizations such as Rebuilding Together, DIFFA, Designs 4 Dignity, IIDA, Refortify & USGBC. The opportunity to help shape the future of our city is exciting and one I couldn't turn down. Great cities don't just happen, they are imagined, thought out and planned and if these plans have the local governments and community support behind these plans, great things can happen. Raleigh is a city of sprawl and it now has the unique space in the center to have something that can really make a difference in the heart of the city, creating a more connected center. Raleigh's recent & future plans to revitalize, re-grow, and reinvent it's downtown is exciting to watch and be apart of. Downtowns are the heart of a city and having a healthy heart is essential to having a strong community. This is essential to be able to compete with other world class cities in the US. Jake spent his youth in the NC mountains before heading to the coast to study Philosophy, Anthropology and Religion at UNCW. While there, his studies and his interest in Palestinian-Israeili politics led him to spend several months in The Middle East where he split time between refugee camps, an archaeological dig, and studying Arab-Israeli politics at a Jordanian university. These experiences led him to pursue a deeper understanding of how architecture and urban environments effect individuals and communities over time. He received his M.Arch from NC State University and is currently working as a designer at in situ studio, where he continues to develop his skills and is on track to be a licensed architect by the end of the year. Opportunities to work at the scale of Connections 81.2 don’t come to designers often enough! This site is incredibly important to the future of the city. It presents a massive opportunity, and the charrette was a brilliant way to pool the high level of talent in Raleigh’s design community with those intimately familiar with the legacy of the site and its existing program to offer exciting and insightful solutions that reflect the growing fabric of our city. Did I mention that it was a brilliant idea? There is so much potential in the growth of Raleigh right now! I love examples of our building habits not outpacing our ability and willingness to think about the future of each site and of the city. The most exciting example of this right now has to be the intensive community centered design approach at Dix Park. Tina has been principal of her own firm in downtown Raleigh, NC for the past 25 years and has recently formed an architectural design collective, SOMOS. Their work ranges from schools to parks, cafes, co-housing, animal housing, and “tactical urbanism.” She holds a Master of Architecture from the MIT School of Architecture and Planning, has practiced in a wide range of cultural settings, and takes a strongly people-based approach to the design of places. 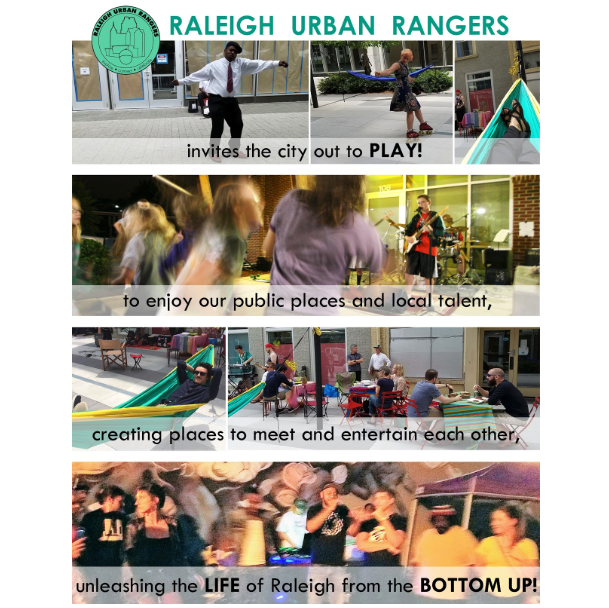 She has also recently co-founded Raleigh Urban Rangers, a new initiative which encourages more active use of public space by inviting residents out to play, meet and fully inhabit their city. The CONNECTIONS 81.2 charrette offered me the rare opportunity to collaborate with other professionals in an open, mutually supportive way. It erased typical office boundaries and competitiveness, inviting us all to imagine possibilities together, towards a common good. This kind of open, collaborative sharing is too rare in our profession. I welcomed the chance to see how others work and think, to hear others’ perspectives and values, and to participate in a growing community conversation about the future of our city. I am most excited by the increasing attention being paid to Raleigh’s public spaces, such as Moore Square and Dix Park. Improving our shared spaces will help bring the city together. Strengthening public engagement in the design and creation of those spaces, through initiatives like Neighborland, is also critical and very exciting. I see a real bottom-up participation building from the energy of our local businesses and people who live here and care. I’m also encouraged by the number of people moving downtown, walking and biking our streets. They will join us as stewards of our city, advocating for our schools and public services and working to make Raleigh a humane city for all ages and income levels.